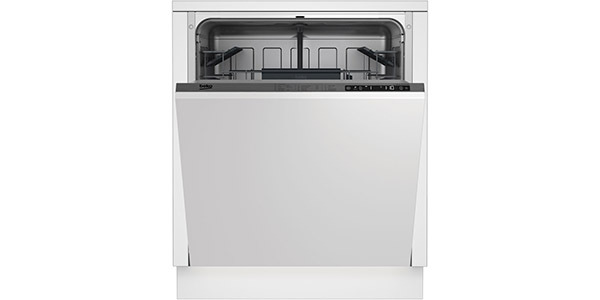 This machine could be a nice addition to any kitchen that is limited on space. 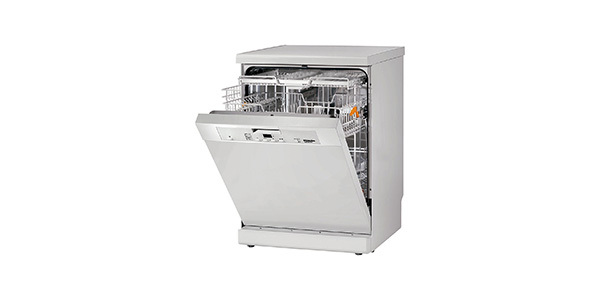 It can fit a good amount of dishes for its size and it comes with all of the features and programs that you would expect from the larger models. Beyond that, you also get nice additional features like hygienic cleaning, extra dry and VarioSpeed. This machine is well made, it has exceptional performance and it is very easy to use. 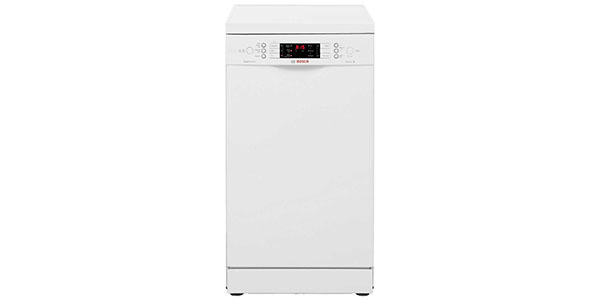 For a slimline model that still offers a decent amount of room and good cleaning power, consumers should check out the Bosch SPS59T02GB dishwasher. Users still get all of the features and programs that they need and some good options for interior racking. The efficiency on this model is about average with an estimated yearly energy consumption of about 237 kilowatt hours. 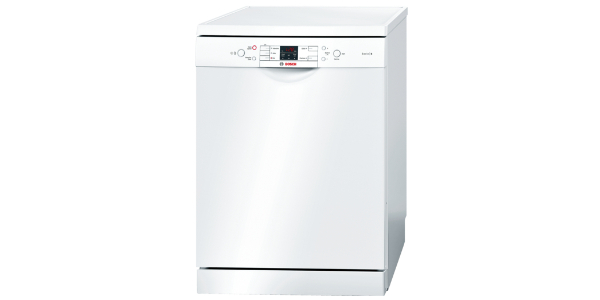 Bosch has done a really good job of managing the space on this slimline model. 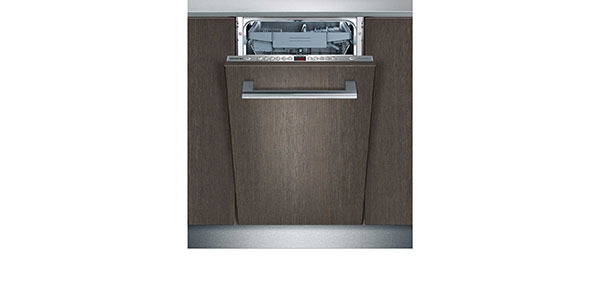 Obviously, you don’t have the same amount of space that you would get from a full sized dishwasher, but you get room for up to 10 place settings and a range of adjustable racking features. You get a top basket that has three height adjustable positions, both baskets have folding racks and you get a third level cutlery tray to save space in the bottom basket. The basket design and racking options make this a model that can still work well for a family. This machine also includes a range of features and programs that help to make it versatile and effective. 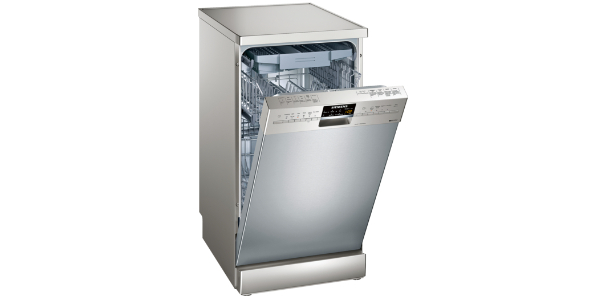 You get all of the standard programs that you would expect from a modern dishwasher and it even has a few specialty programs for things like sensor cleaning and intensive wash. Along with that, you also get features like intensive zone, VarioSpeed, hygienic wash and extra dry. 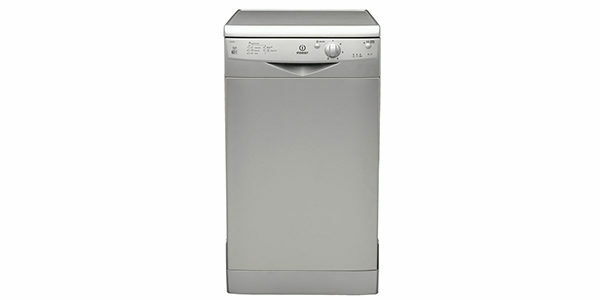 The user does not get a half load feature with this machine, however, this is a smaller dishwasher and it does have a load size detection feature. The SPS59T02GB detects the size of the load and it manages the water usage to increase efficiency. The lack of a specific half load option might be a negative to some consumers, but with a machine this size, it is not really necessary. 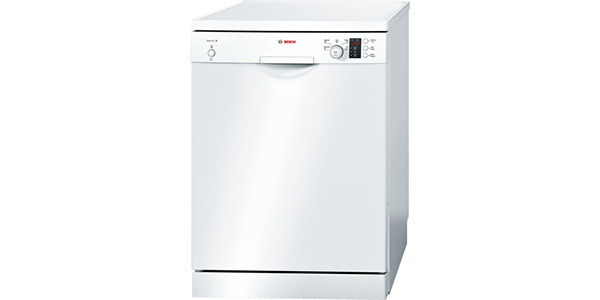 This model from Bosch delivers the kind of cleaning performance that you would expect from a quality brand. It provides good results across all of the cycles and the different features can help the user to manage the operation based on their specific needs. Just as a note, the eco cycle is good for saving electricity and water, but it does take upwards of three hours to run. This machine is made to provide a user-friendly experience. It has pushbutton controls on the front of the machine, and LED display and indicator lights. Each cycle has its own button and you have individual buttons for turning on the different features and setting the delay timer. In addition to that, you have indicator lights that show the cycle progress and lights for low rinse aid, low salt and check water.